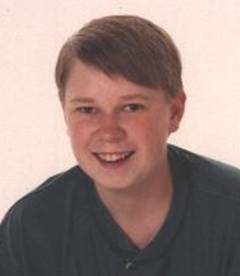 My son, Gregg Meissner, 18, was hanged in his bedroom in our family home in Hawley, Minnesota, in the early hours of January 5, 1998. Between $40 to $70 was missing from his wallet. Clay County Detective Bryan Green didn’t even wait for the coroner to arrive before proclaiming Gregg’s death a suicide. 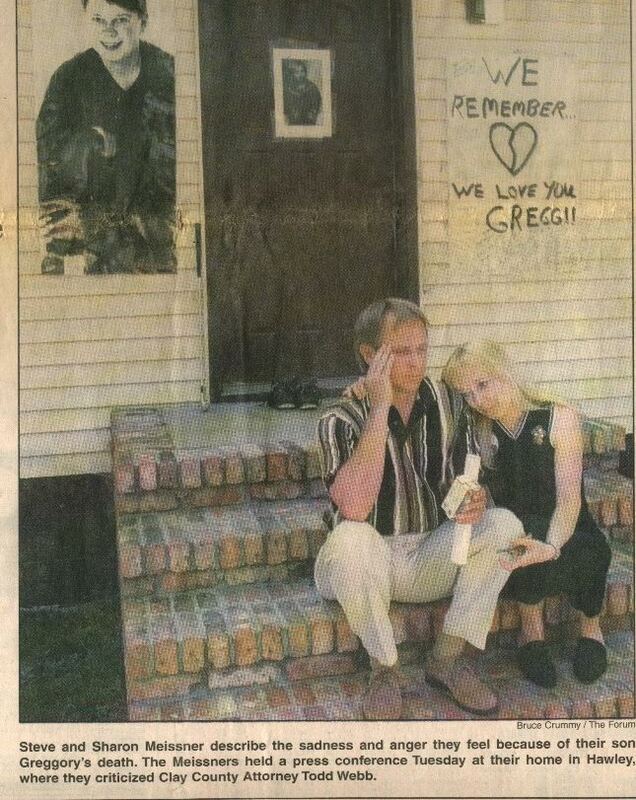 Police went to the high school to inform students that Gregg committed suicide, even before my husband Steve, who was away on business, could be reached with the news. By 10:30 a.m., our home was flooded with hysterical teenagers. I attempted to get the police to seal off the scene, but they refused to do so, telling me this “wasn’t television.” They also refused to take prints, and when I discovered unexplained vomit in Gregg’s toilet, I told them I hadn’t flushed and I was sorry, but I didn’t want to destroy evidence. Det. Green totally ignored my pleadings to check it out. Among the spectators the police allowed to contaminate the crime scene, was Shawn Padden, 23. Although we didn’t know it at the time, Padden, an acquaintance of Gregg’s, who had moved to Hawley just four months earlier, had been involved in criminal activities that local law enforcement was well aware of. 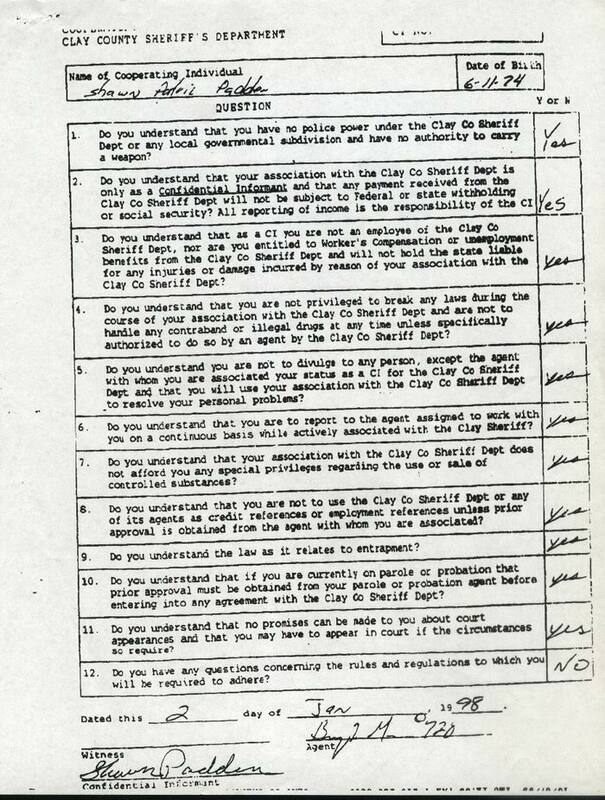 In fact, just three days earlier, to escape prosecution for manufacturing of a controlled substance, drunk and disorderly conduct, and assaulting Special Agent Tom Taylor, Padden had signed a secret agreement with Det. Green to work for the sheriff’s office as a confidential drug informant. Over the next few days, a number of teenagers contacted both us and the police with information implicating Padden in Gregg’s death. 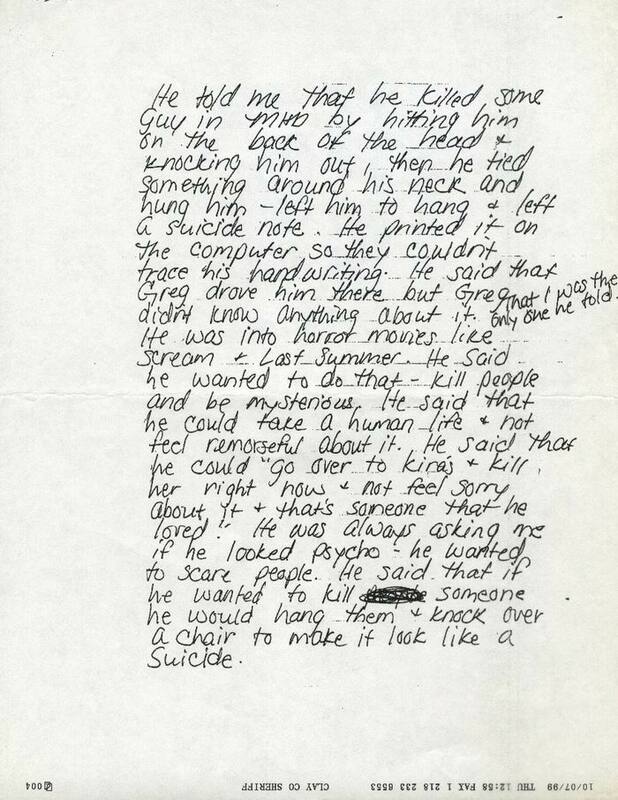 Among those was a girl who signed a written statement that Padden had once told her it was easy to kill somebody -- you just hit him on the head, strangle him, throw the rope over a door, and tip a chair over to make it look like suicide. He told her that he had done that once himself and gotten away with it. Another girl told police that Padden had bound her wrists, blindfolded her, and threatened to kill her. A third girl, who alleged that she had been sexually assaulted by Padden, said Padden had bragged to her that he had been at Gregg’s house after I had left for work at midnight and that he was the last person to see Gregg alive. Two other teenagers told police that, about a month earlier, Gregg had visited Padden’s apartment, and Padden had thrown something around his neck and dragged him over a door. They said Chris Hawkins, 25, Padden’s best friend and next door neighbor, was there at the time and did nothing but watch. During the viewing at the funeral home, I noticed that Gregg’s hair had been parted on the wrong side. When I pushed it over to the left, I discovered a scabbed wound on the top right side of his head. I screamed and pointed it out to the people around me. Gregg had apparently been knocked unconscious before he was strung up! 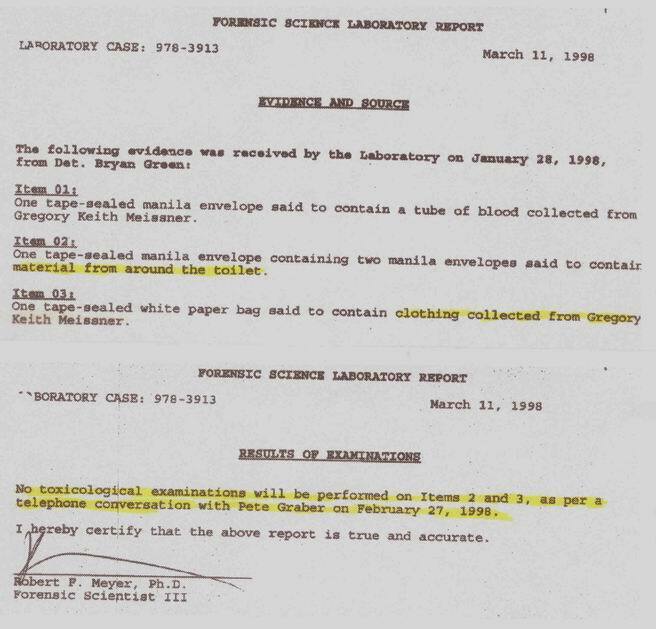 On Feb. 27, police directed the Forensic Lab to cancel testing of the clothing that Gregg was wearing when he died and to cancel tests on the vomit samples from his toilet. (Their explanation to us was that vomit doesn’t contain DNA, although an attorney told us it most certainly does.) At Padden’s trial, Agent Graber perjured himself by stating under oath that the lab did DNA tests on the vomit with negative results. 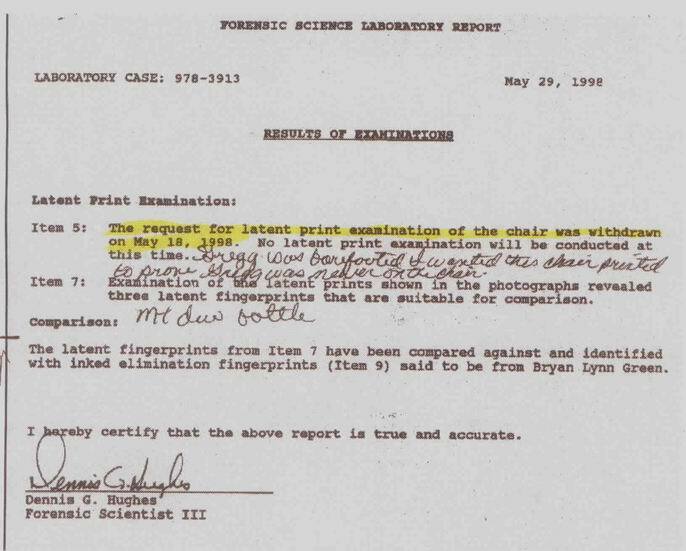 On May 18, police also withdrew their request for latent print examination of the chair, so there was no way of knowing whether Gregg did or didn’t stand on it. 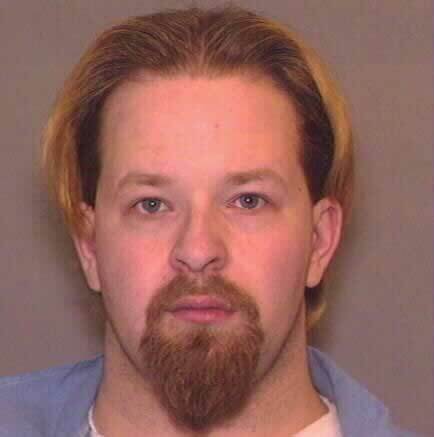 On June 3, 1998, Shawn Patton was indicted on charges of third degree murder and second degree manslaughter. In other words, the Grand Jury’s finding was that Padden didn't mean to kill Gregg, he just put him in a dangerous situation in which he accidentally died. Steve phoned Sheriff Larry Costello and demanded to know what went wrong – why was Padden not charged with first degree murder? Costello said there simply wasn't enough evidence. We were stunned by that statement. There was plenty of evidence if police had bothered to collect it! 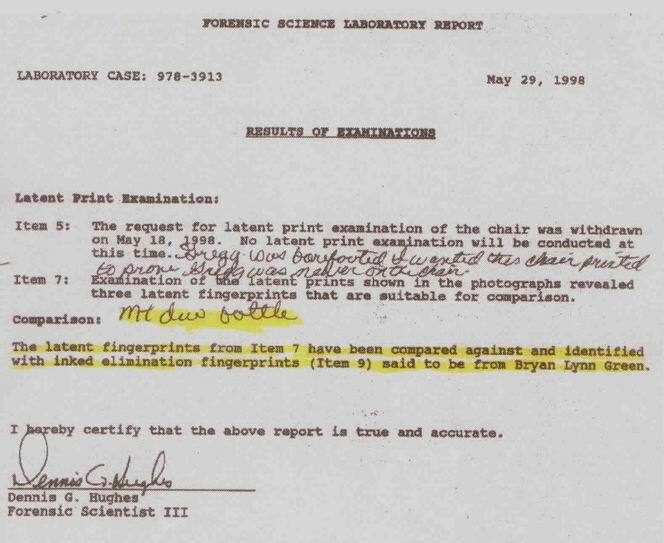 Not only had they not taken prints from the chair, or allowed the lab to process the vomit for DNA, but we later learned that all the prints on the Mountain Dew bottle, (not only those of Gregg’s killer or a possible accomplice, but Steve’s and mine and Chief Hanson’s) had mysteriously vanished. The only prints on that bottle were those of Det. Green, who hadn’t even been there when the evidence was collected. With Padden’s trial coming up, Det. Green, Agent Graber and Chief Hanson once again tried to pressure me into testifying that I saw rope burns on Gregg’s neck in 1997. I refused to commit perjury. Two and a half weeks before the trial, at the suggestion of Sheriff Costello, Graber launched an unfounded and embarrassing investigation of Steve and me for bribing and/or threatening witnesses. That bogus investigation was quickly closed down by Graber’s boss, SAC Terry Smith. On Nov. 9, 1998, Padden was found guilty as charged. He was sentenced to 25 years and will be eligible for parole in 16 2/3 years. His attorney filed an appeal based on the fact that Padden was inappropriately convicted of third degree murder when evidence indicated he was guilty of first degree murder. The appeal was rejected. In a last ditch attempt to unearth the truth about Gregg’s murder, Steve and I filed a wrongful death suit against Padden. In preparing for that case, our private investigator was able to depose Det. Green, Chief Hanson, Agent Pete Graber, and Padden’s buddy, Chris Hawkins. 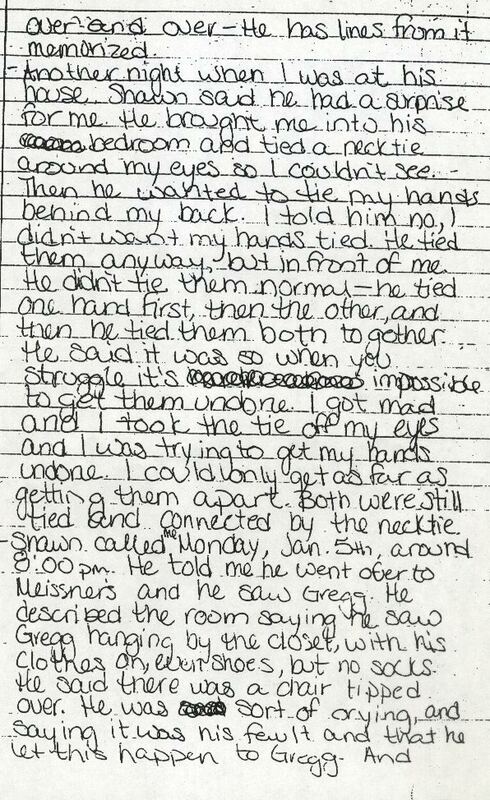 Although Hanson continued to deny any knowledge that Green had enlisted Padden as a confidential informant, Green stated that Hanson was the one who came up with the idea and turned over the contract that he and Padden had signed three days prior to Gregg’s murder. 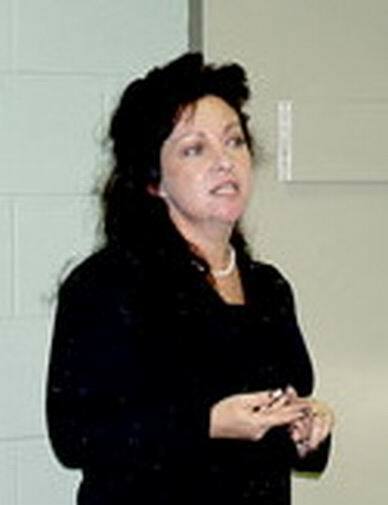 For his part, Chris Hawkins provided information that implicated Padden in an assisted suicide-by-hanging in another state. Further investigation revealed that there were two suspicious hanging deaths of young men who bore a physical resemblance to Gregg in the Elizabeth and Castle Rock areas of Colorado while Padden was living there. When presented with the names of those victims, Padden quickly agreed to settle our civil suit out of court. But the horror story doesn’t end there. Gregg was accidentally buried in the wrong plot and in October, 2002, we were forced to move his body to a new location. That provided us with an unexpected opportunity to obtain information about the nature of Gregg’s head wound. We had a second autopsy performed in San Bernardino, California, by a team of five experts, headed by forensic pathologist Dr. Monika Rohlinger. Dr. Timandra Sinclair, a forensic psychologist who had taken a personal interest in Gregg’s case, was present as well. Gregg’s body was too badly decomposed to provide information about the head wound, but it did disclose something so shocking that even the doctors were stunned. Many of Gregg’s organs were missing and his brain had been scooped out! Monika Rohlinger told us the cavities had been filled with Kitty Litter. Gregg’s organs weren’t harvested for transplant. Even if we’d granted permission, which we didn’t, those organs were useless to others, since the autopsy wasn’t performed until at least 34 hours after death. In his official report, Dr. Michael McGee, Ramsey County Medical Examiner, recorded taking hair samples, fingernail clippings, blood, and a tissue sample from Gregg’s liver, but certainly not his organs and brain. The Office of the Medical Examiner is currently trying to track down the missing parts of our son. Success doesn’t seem very likely after almost five years. And even if somebody presents us with an assortment of organs, how can we know that they’re Gregg’s? A DNA lab report wouldn’t convince us, as it could easily be just as invalid as the fabricated information in the police reports. In January 2003, we reported to Clay County Sheriff Bill Berquist that a second autopsy showed that Gregg’s body was missing organs. DR. MICHAEL McGEE, who performed the original autopsy at Ramsey Medical Center in St. Paul, Minnesota, stated in his report that he took only hair, fingernail clippings, blood, and a tissue sample from the liver. There is denial of removal of organs in his report. He allegedly told Sheriff Berquist that he destroyed everything that was taken at the autopsy three years after the autopsy, which is Standard Operating Procedure. Sheriff Berquist told us that Dr. McGee was now our county coroner and said he would talk to him. 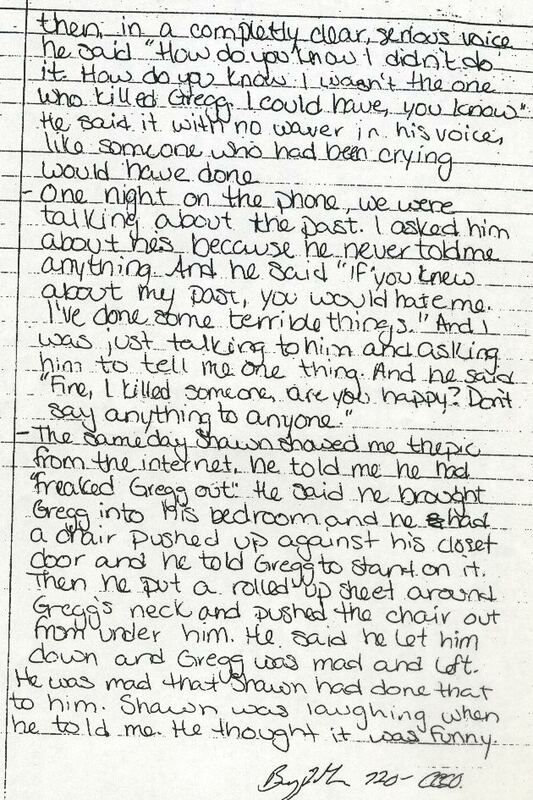 One week later he confirmed that Dr. McGee continued to deny removing any of Gregg’s organs and said he took only a small tissue sample from Gregg’s neck. (According to the doctors who performed the second autopsy: “Examination of the neck shows the neck organs to be completely absent, most probably from the first autopsy and the area is replaced with paper towel.” Sheriff Berquist promised us he would send us a letter confirming the content of his conversation with Dr. McGee. Soon after Berquist’s conversation with Dr. McGee, Dr. Monika Rohlinger, the forensic pathologist who headed the team of experts who performed Gregg’s second autopsy, became unreachable. Rohlinger’s business, Private Autopsy, went out of existence. The "two thorough, certified reports and over 100 photos” from the autopsy, which had been promised to us and would have documented Gregg’s missing organs, were not sent to us. Our letters, e-mail and phone calls were not answered. Our big question, then and now: WHO COULD HAVE “GOTTEN TO” DR. MONICA ROHLINGER IMMEDIATELY AFTER DR. MICHAEL McGEE WAS INFORMED BY THE SHERIFF THAT WE WERE AWARE THAT GREGG’S ORGANS HAD BEEN STOLEN?